Editors Note: This interview was conducted in August of 2018 over email between San Francisco and Together We’re Giants Global Headquarters in Lake Worth, Florida. Together We’re Giants: When did you decide to write Falling in Love With Baseball? Chris Mavraedis: There’s an interesting story behind how Falling in Love With Baseball came to fruition. When I began to lose my speech in 2010 to this cruel disease, ALS, l began to write more frequently. Since I love baseball and the Giants, naturally I wrote about baseball often. At first, I sent my baseball emails to my family and the many Giants friends I’d met over the decades of being a Giants fan and season ticket holder. Then I discovered baseball blogs and began sending my writings to them also. As you might remember, I was a frequent contributor to the forerunner to your great blog, Extra Baggs with baseball writer Andrew Baggarly. In late June 2013, I put together an elaborate tribute to the famous 16 inning pitching duel between Marichal and Spahn to commemorate the 50th anniversary of that amazing game. Soon after I submitted it to the Extra Baggs blog, I received an email from Andy Baggarly. He wanted to know if he could publish it in the San Jose Mercury with me as a guest writer. His request shocked me! I’d never considered myself a particularly good writer, and I still don’t to this day. Of course, I said yes! The response to the article was very positive. A few months before Andy Baggarly’s request my good friend Robert Sockolov, who is part of the Giants ownership group, asked me to get him my baseball writings for a book. Thinking he was just being nice and sympathetic to my health issues, I dragged my feet on getting him my writings. Bob asked unsuccessfully for years for me to get him my baseball pieces for possible publication in a book and I continued to think he was just being nice. Three years later, in 2016, my beautiful wife, Elizabeth (or Lizzy), and I were invited to batting practice on the field by Bruce Bochy’s wife, Kim. During the season, the Bochys live in our building across the street from the ballpark. Before we left for the ballpark Lizzy told me if we saw Bob Sockolov and his wife, Audrey, at the ballpark and Bob asked about getting my writings to him I had to do it this time! I agreed. Sure enough, right after batting practice we saw Bob and Audrey in the Field Club lounge. Immediately after greeting us warmly—we didn’t go to many games for years because of my disability— Bob asked me when I was going to get my writings to him. Lizzy looked at me with that look all wives have, “See? What did I tell you?” Finally, I realized Bob was serious and over the next week I gathered as many of my baseball writings that I could find and sent them to Bob. Despite being in their 80’s Bob and Audrey sprang into hyperactive mode once they got my chicken scratch. Their granddaughter, Jill Sockolov, had recently graduated from the Portland Art Academy as a graphic designer. Lizzy and I were amazed when Jill emailed us a rough draft of the book a week later! After a year of my writing more stories and a lot of hard work from everybody involved, Falling in Love With Baseball was published in May 2017. TWG: Your book is lovely not only for showing your readers how much baseball has meant to you, but also for the way it paints a fascinating portrait of your childhood and growing up in the Bay Area as a Giants fan. Can you talk about this evolution? CM: Perhaps my birth in a hospital directly across the street from the San Francisco Seals’ former ballpark and Recreation Park in the Mission District has something to do with my love of baseball. Of course, the Seals were playing at Seals Stadium when I was born in 1952 … hey, I’m not that old! My parents moved from San Francisco to Sunnyvale when I was two. This was long before Sunnyvale became part of the booming Silicon Valley. When I was growing up in Sunnyvale there was tons of orchards of fruit and nut trees. My fondest memories of those days were my family going to the cherry orchards in the spring for awesome fresh cherries right off the tree! Even though my family was in Sunnyvale, we spent a lot of time in San Francisco, as my grandparents on both sides lived there. Both my grandfathers were big baseball fans, as was my father. When the Giants moved to San Francisco from New York in 1958 my Greek grandfather, who owned a little restaurant with my Uncle Nick in the Mission District, got us tickets from his Coca Cola distributor. It was the Giants first home stand in April. It was my first MLB ballgame and I fell in love with Willie Mays at first sight. 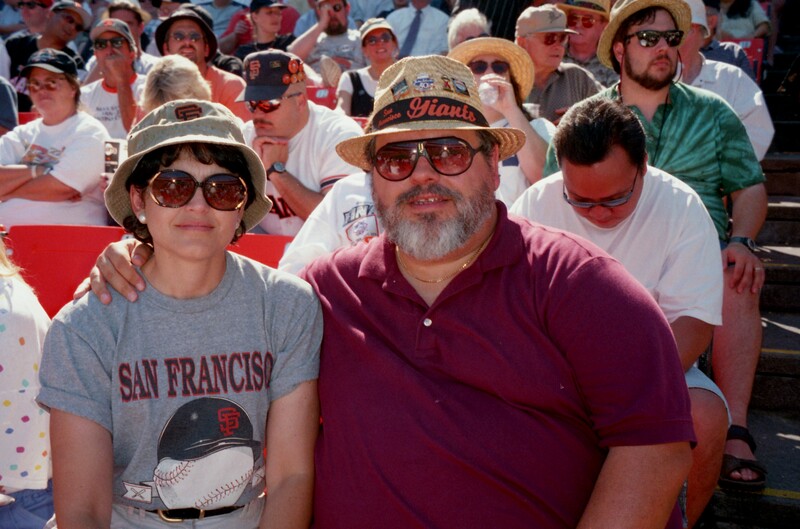 My grandfather, my father, and I went to about five games a year during the two years the Giants played there. Seals Stadium was a great ballpark in the classic downtown ballpark tradition. It was only a 15 minute walk from both of my grandparents apartments. By having my first MLB experiences in that fantastic old ballpark, I’m sure it definitely played a major role in my intense love of baseball! 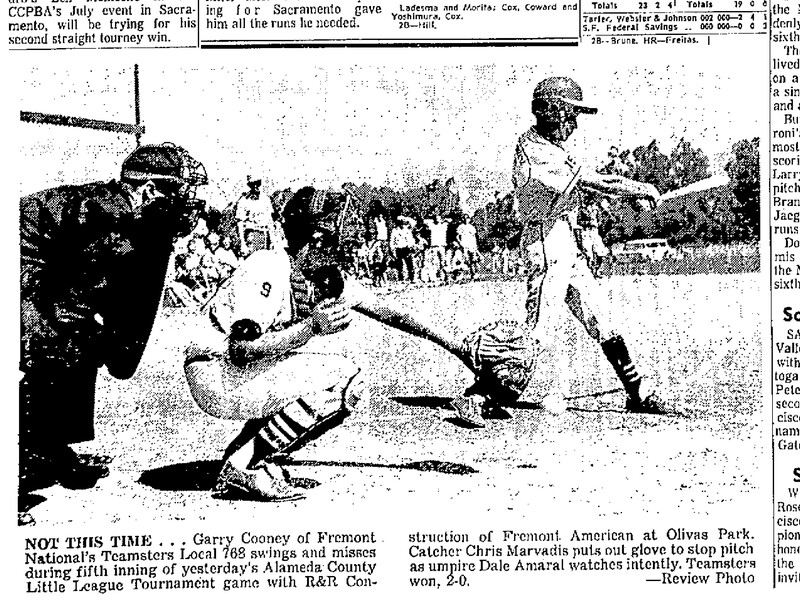 A few years later, when I was 8, I began playing Little League in Sunnyvale. My earliest memories of watching baseball on TV was when my Giants played the Dodgers in the Los Angeles Memorial Coliseum. The Coliseum necessitated a very strange configuration for baseball. The L.A. Coliseum was designed for the 1932 Olympics and college football. For baseball, it was a ridiculous 250 feet down the left field line and an equally ludicrous 440 feet to the right-center gap. When Willie Mays saw his old Dodgers centerfield rival Duke Snider, who’d routinely hit 40 or more homers in cozy Ebbets Field, before their first game in the L.A. Coliseum he said, “Duke, they killed you man!” The “Duke of Flatbush” would only hit 38 homers in the Coliseum in his entire four years there. Before the 1959 season, the Dodgers traded away Gino Cimoli— who was a San Franciscan native and was the first MLB player to hit in Seals Stadium in the first MLB game on the West Coast— for Wally Moon, a left-handed batter who’s inside-out swing was perfect for taking outside pitches and lofting homers over the 42 feet high left field screen 250 feet away. His home runs were called “Moon Shots.” I vividly recall, probably because of my father’s and grandfather’s profane verbal reaction, a crucial game late in the 1959 season when Wally broke up a tie game with a walk-off 3-run “Moon Shot” over the left field screen. The Giants were leading the NL for much of the 1959 season, only to collapse down the stretch. In 1960, the Giants moved into the brand-new Candlestick Park. As back in 1958, my Greek grandfather got tickets from his Coca-Cola distributor during the first home stand at the new park. My first experience at “The Stick” was typical of what happened during the Giants 40 years playing there. We were sitting on the first base side and I kept feeling drops of what I thought was rain. When I informed my father and grandfather that it was raining they scoffed and patted me on my young head. The “rain” kept up intermittently. Finally I saw what was causing the “rain” when a drop hit my lips. It was beer! Each time a beer vendor poured a beer to our left drops from the suds would blow onto me sitting on the downwind aisle courtesy of the infamous Candlestick wind! However, I loved “The Stick!” All my childhood baseball idols played their whole careers there and I watched thousands of meaningful games there. Sure, it was a dump for baseball, but it was our dump! In the 1960s, as a kid, I saw so much great baseball there. There were the five San Francisco Giants Hall of Famers— Mays, McCovey, Marichal, Cepeda and Perry— that performed baseball diamond magic routinely at The Stick. In early 1963, shortly after that McCovey vicious line drive caught by Bobby Richardson in the in the 7th game of the 1962 World Series broke my heart, our family moved to Fremont in the East Bay. 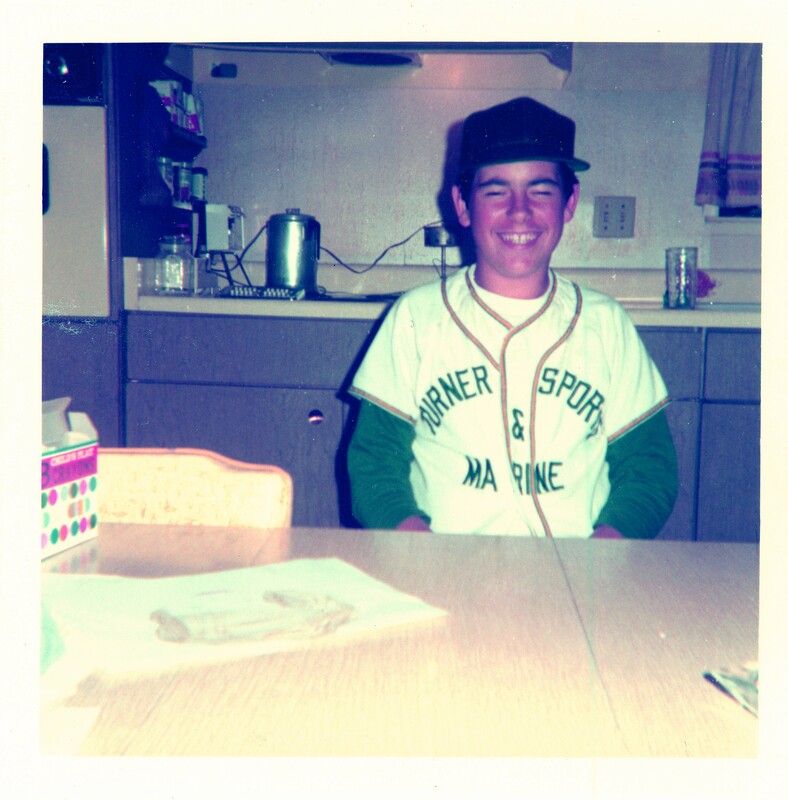 In Fremont I continued my Little League baseball and literally lived and breathed baseball. Unfortunately, my heart was broken often in the 60’s by living and dying with my Giants. During the ‘60s I discovered Strat-O-Matic baseball, played tons of baseball, read the “baseball bible” The Sporting News cover-to-cover every week, umpired Little League and followed my Giants fanatically. It was a great childhood growing up in a rapidly growing suburban city like Fremont. I got married in my senior year of high school and my first wife, Kathy, gave birth to our daughter, Monica, during the 1971 World Series in October. My baseball career continued briefly that summer when I accepted an offer from a friend to catch for a Fremont semi-pro team. When that summer of ‘71 ended, so did my baseball playing career. It was time to put aside my dreams of playing professionally to support my young family. Later on, in the 1980s when my son, Lance, played Little League, I coached his team when I was in town. My job at Levi Strauss had me traveling extensively. To this day, I follow my Giants and baseball religiously! TWG: There is an innocence to the book that I believe is central to baseball fans. Can you describe the development of your fandom from little boy to experienced writer who recently witnessed three championships? CM: Perhaps the innocence of baseball fans comes about because we grew to love the game at a tender age usually. Most of my stories about baseball are written from a fan’s perspective. It is very gratifying for me to hear that that innocence shines through in my writing. That quality in my writing must be intuitive because I don’t try to consciously capture that when I write. You’re not the first one to call that to my attention, and it is satisfying to have my writing seen that way! To my mind, I’ve succeeded if the majority of readers feel the same. TWG: Which of the Giants three recent World Series championships was most fulfilling or meaningful to you? CM: The first World Series Championship in 2010 was incredibly emotional for me, having waited over half a century for that sweet, sweet championship! That entire night after they wrapped it up in Texas I cried tears of joy. When I watched Bobby Richardson snag McCovey’s vicious liner to end the 1962 World Series I thought, along with many, that it would be just the first of many World Series appearance for my beloved Giants in the next few years. Instead it was 27 agonizing years of frustration before my Giants tasted the World Series again! Then the Loma Prieta earthquake ruined that experience for me and the entire Bay Area. When Brian Wilson blazed that fastball by Nelson Cruz it was EXTREMELY emotional for me! Hell, l’m crying right now just recalling that electrifying emotional moment. Of course, I was thrilled when they won again in 2012 by coming back and winning so many elimination games that postseason. That team epitomized my attitude about my battle with Lou Gehrig’s Disease … never give up! Then, in 2014 when they won the World Series for the third time in five years, I just figured it was sweet revenge for all those close almost-maybes in the 1960’s. Madison Bumgarner damned near won that championship single-handedly! No doubt that the first San Francisco Giants championship in 2010 was definitely the most meaningful for me. My only regret is they clinched all those championships on the road where I couldn’t witness those dramatic moments of ultimate triumph in person! If I had my health I certainly would’ve been there to witness the three on-field celebrations in person like I was there in Anaheim for the 6th and 7th games in 2002. Let’s wrap up this question with this thought …Thank God for 2010! TWG: Who was your favorite ballplayer growing up? He could hit for average as his .302 lifetime batting average attests. In 1954, after missing almost two years in the army, he won the NL batting title while slamming 41 home runs in leading the Giants to their first World Series Championship in 21 years. In the Giants first year in San Francisco, he hit .347 and got edged out by Richie Ashburn at .350 on the final weekend of the season by going 6 for 9 including a few bunt hits. He had tremendous power … there’s no arguing with 660 home runs! Nobody will ever convince me that if Willie hadn’t lost two years in the military and played in a hitter’s nightmare ballpark, Candlestick Park, that he would today be the all-time career home run leader. He twice hit over 50 home runs before performance enhancing drugs ever entered the lexicon. 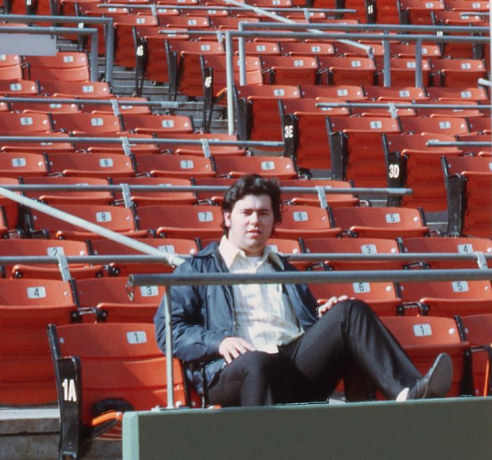 He was so skilled at hitting he adjusted his swing to go to right field to take advantage of the prevailing winds at The Stick … and still led the league in HRs three times at Candlestick! Had Willie not lost two years in his prime and had to play in Candlestick for 12 years I believe he might’ve hit 800 home runs! On the base paths, he was unparalleled at stealing bases and taking the extra base. Mays led the NL four years in a row in stolen bases despite swiping bags was never a big part of Willie’s game. In 1971, at the age of 40 as his batting power waned, Willie stole 23 bases being caught only 3 times! However, larceny was not the entire story of Mays’s base running skills. He was the best I’ve ever seem seen at taking the extra base. Many times, he’d intentionally slow down to draw a throw in hopes it would be wild. In short, there was nothing the “Say Hey Kid” couldn’t do on the base paths! Let’s emphasize this next category … nobody ever patrolled centerfield like Willie Mays … nobody! Period! If I close my eyes, I can still see his cap flying off as he chased down fly balls in the wicked Candlestick gales only to stop and take it with his stylish signature basket catch. I witnessed a few catches of his at Candlestick that I’d rate better than his most famous back-turned catch in the 1954 World Series. He was the best ever to play centerfield period! Full stop! His arm was outstanding, strong and accurate. To illustrate how great Willie’s arm was, let’s describe a game I saw on TV in 1966 when I was 13 years old. In those days, the only Giants games televised in the Bay Area were the nine games they played against their arch rivals, the Dodgers in L.A. It was on May 17th, and Willie had turned 35 11 days before. In the bottom of the 2nd of a scoreless duel between Marichal and Drysdale, Willie made a great throw to 2nd to apparently nab Lou Johnson trying to stretch a single, but rookie second baseman Tito Fuentes dropped the throw. In the 4th inning Mays gunned down the speedster Willie Davis trying to go from first to third. In the 6th with the game still scoreless Willie made a fine running catch in left-centerfield and cut down Drysdale, who had led off with a single, trying to get back to first. For the piece de resistance, in the 11th inning Wonderous Willie cut down Maury Wills trying to score the winning run on a double at home plate! If a young Tito Fuentes had not dropped his on-target throw, Willie would have had an outfield assist at every bag! So maybe his arm wasn’t as strong as or as flashy as Roberto Clemente’s, but Mr. Mays could throw! The Author at the Stick. TWG: The diary-like aspect of your book is especially interesting. Did you realize as you were sending emails and writing short pieces that you would one day use them in a book? CM: Not at all! I’ve never thought of myself as a particularly good writer. When I began working for Levi Strauss in 1976, I took a technical writing class at our offices in San Francisco. We were instructed to bring examples of our writing to the first class. Before our lunch break the instructor asked me to stay behind for a few minutes. When I met the instructor, he asked if he could use my writing examples in class. My pride was bursting until I heard the next sentence. The instructor wanted to use my writing examples to show the class what NOT to do! He saw my reaction and added that I was obvious an intelligent engineer as most IT professionals are. But he said my writing was typical of how a writer that knows his subject could not communicate that to his audience in a clear concise way. I took that criticism as a challenge! Seeing my writing torn apart line by line during the class certainly helped. But I took night classes in writing to improve. A few years later my hard work paid off when my management asked me to write a critical technical proposal because I was the best writer in the department! Despite that, I’ve never gotten completely over that slap-down in that class in 1976. I still don’t consider myself a very good writer. So, no I never thought my emails and stories would be published! TWG: Can you describe how the Giants organization has embraced you and your book? CM: Oh my! Where to start? The entire Giants organization from top to bottom has supported me from the start. Remember, my editor and primary instigator for the book was Bob Sockolov, who is part of the Giants ownership group. Early in the project Larry Baer, Giants president and CEO, gave me permission to use the Giants photo archives. Later on, the Giants bought the first 1,200 books to carry in their Dugout Stores. Giants skipper Bruce Bochy wrote a nice foreword for Falling in Love With Baseball. 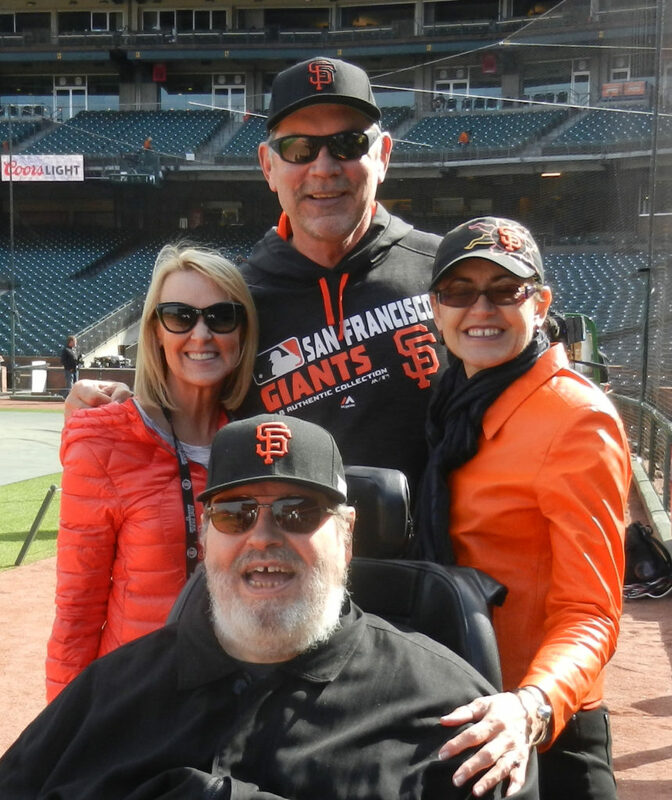 Then, just last month the Giants generously agreed to my suggestion that on ALS Awareness Day with the Giants that they donate ALL the proceeds from sales of my book in their Dugout Stores! 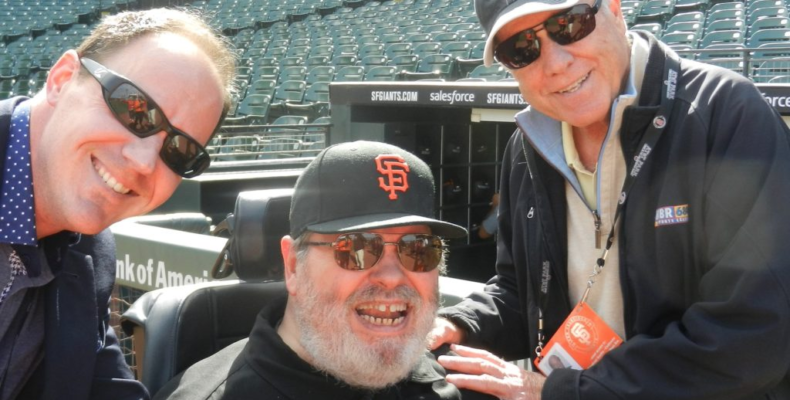 When I thanked the Giants afterward for the ALS Awareness Day, I received an extremely nice email from Larry Baer, telling me the Giants are behind my efforts to raise money for and awareness of ALS 100%! The San Francisco Giants are the epitome of a professional sports team that goes the extra mile to support their community! I’m extremely proud to say they are MY team! TWG: What are your current and upcoming projects? CM: I’m currently working on two future book projects. One is about baseball and the other is about Lizzy’s and my travel experiences. I’m considering writing a novel too. We both plan to continue our crusade to raise money to one day eradicate this horrendous disease that’s cut short so many lives, ALS, or Lou Gehrig’s Disease. It’s really ironic that this horrible disease that is known by the name of one of baseball’s greatest stars has affected me, one of baseball greatest fans! Let’s strike out Lou Gehrig’s Disease together! Here’s a special offer exclusively for our Together We’re Giants community. 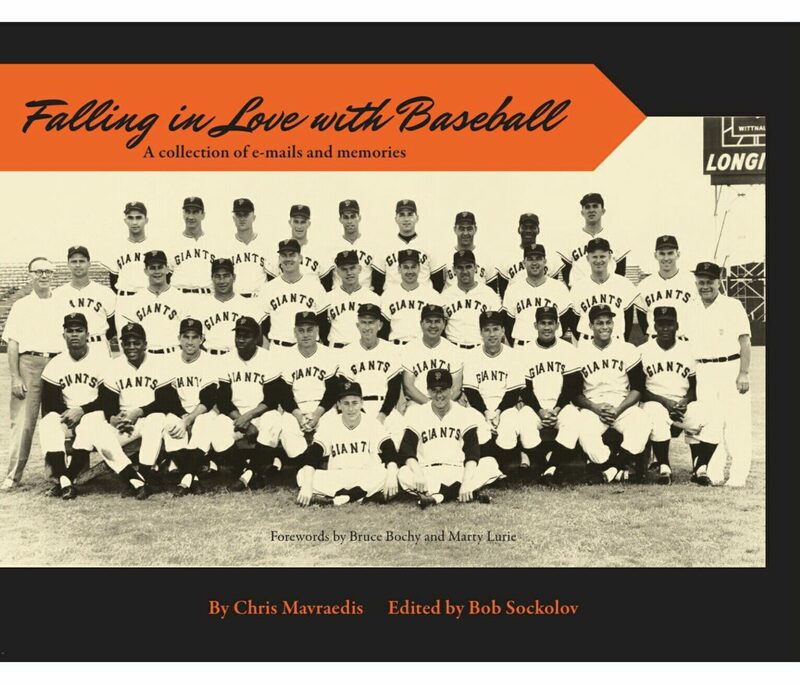 If you go to MavoBooks.com/shop to buy my book, Falling in Love With Baseball, enter the coupon code TWG to get $5 off the book. Lizzy and I will double our normal donation for each book and we will ship your books FREE! Tell your friends and family! They make great Holiday gifts and the holiday season is right around the corner.